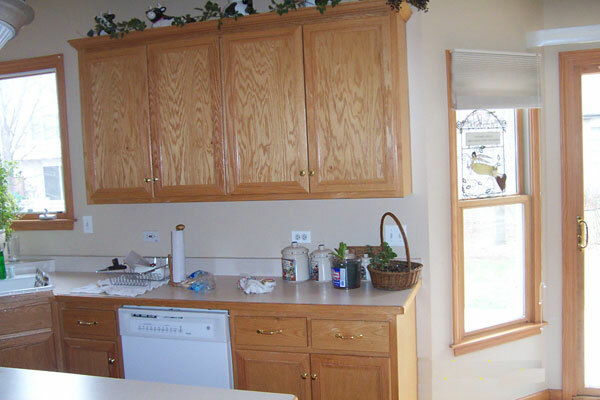 After-Replaced the old laminated counter tops with new granite and installed a new undermount sink. After-A very modern looking and elegant tile backsplash was installed. 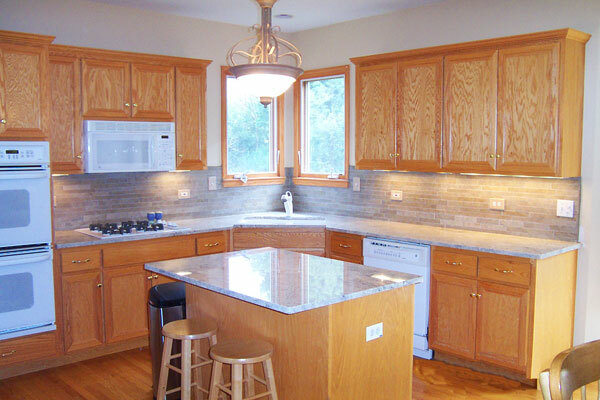 After-Xenon under-cabinet lighting was added to highlight the new counters and backsplash. 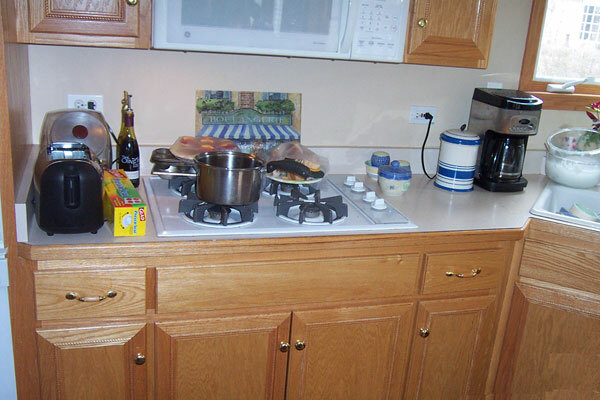 Replaced the old laminated counter tops with new granite and a undermount sink. 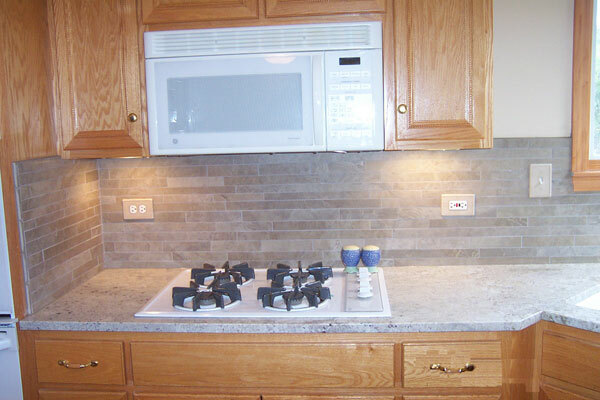 A very modern looking and elegant tile backsplash was installed. 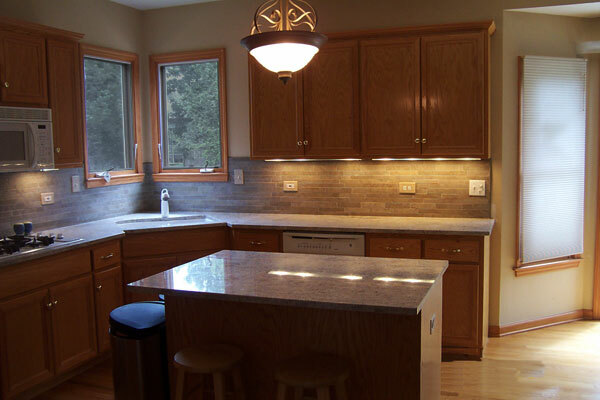 Finally, Xenon under-cabinet lighting was added to highlight the new counters and backsplash.